Does size matter? Not really. Do I still want a giant of a camera? Of course I do! 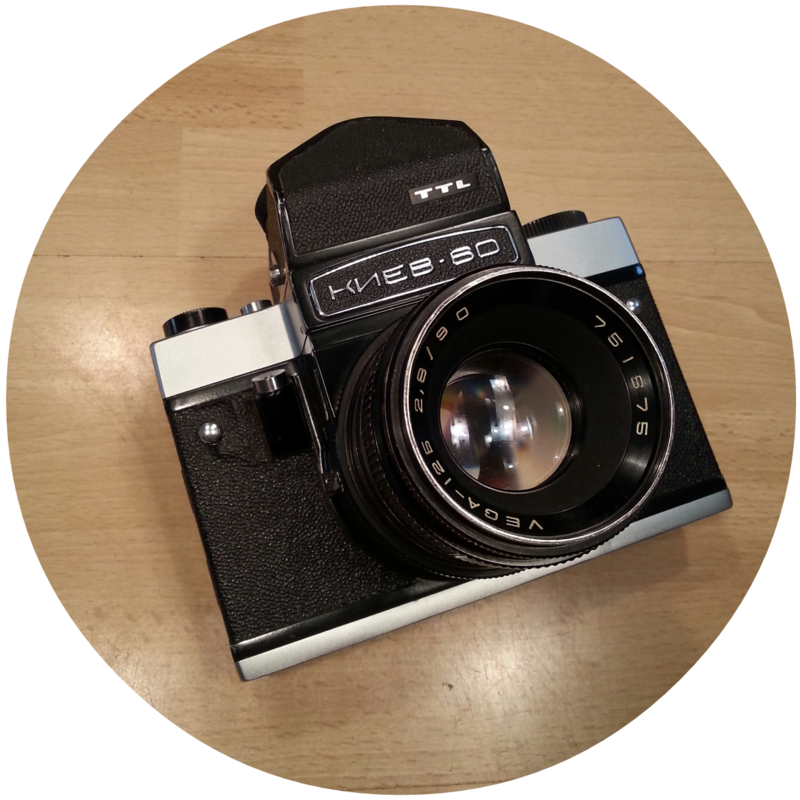 The Kiev 60 is a medium format SLR camera that uses the same bayonet lens fitting as the Pentacon Six. It was made in Russia in 1985. The camera is almost an exact duplicate of the Pentacon Six cameras in all ways except for the branding. The camera is a solid piece of equipment. The full metal body and lens which makes it very reassuring when you hold it. My camera came with the TTL prism which makes it great for all kinds of photography. I also tracked down a waist level finder for street photography and low angle images. It came in its original carry case which to this day smells suspiciously like fire. I feel like I waited an eternity for this camera, I bought it on ebay, directly from Ukraine. As it turns out, a day after buying the camera, President Yanukovych had been thrown out of office and was found to have been a prolific embezzler. So no wonder my package was delayed. My only problem with this camera is frame spacing, the camera shoots its negatives almost back to back, sometimes overlapping slightly. From my research online it seems to be a fairly common problem on these cameras. Apart from the spacing issue, the camera is actually a joy to use. The 90mm Vega lens that came with the camera is amazing for shallow depth of field portraits and macro studies. Even though its a fairly long lens (converts to roughly 70mm on 35mm camera) it has no trouble getting up close for detail work. All in all its a great camera that I want to get more use out of.